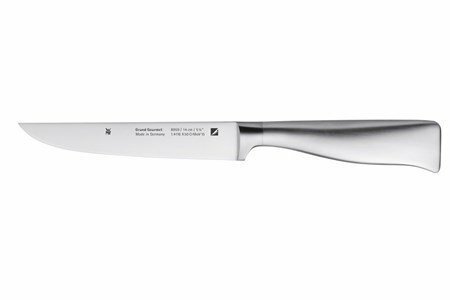 The best knives for the best performances in your kitchen! The good knives have obvious characteristics that guarantee proper functionality for daily use. 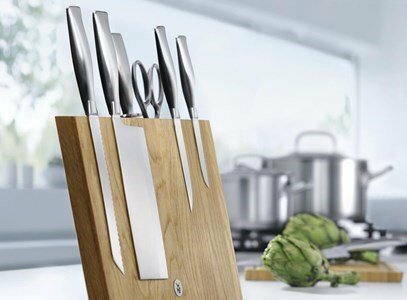 WMF knives are well balanced and comfortable to handle! 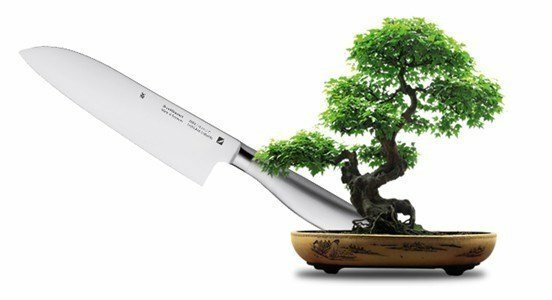 The balance of the knife, that is, the balance between the blade and the handle, significantly facilitates the work with the knife. the chef's knife. Sturdy and broad blade, ready to peel, crush and cut all sorts of ingredients. 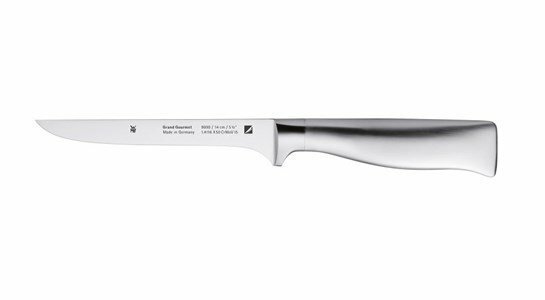 a knife with a serrated edge suitable for bread, sandwiches, cakes and pastries in General. the blade is ideal for cutting, carving and slicing meats of all kinds. 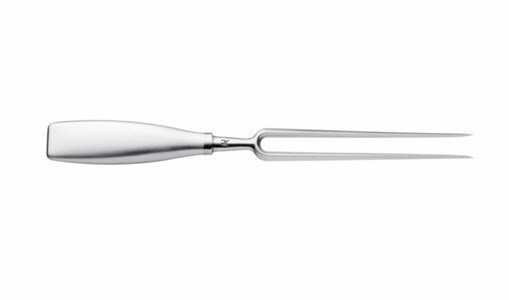 its sharp blade is perfect for peeling and cutting all kinds of vegetables or fruits. 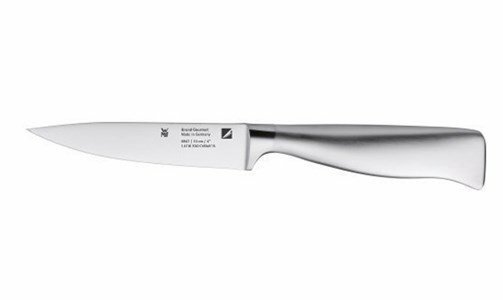 in everyday use, a knife very useful in the cut of meat, fish, vegetables or fruits of large dimensions. The cable is in polished stainless steel with Cromargan® protection and the blade forged of a special steel, hardened in a carefull process.